The new Jeti High Voltage Inline regulator is the only high voltage switching BEC designed to regulate the voltage from a pilot’s 9.5-59V (3S-16S) power source and provide stabilized output voltage of 5.5V up to 150mA. 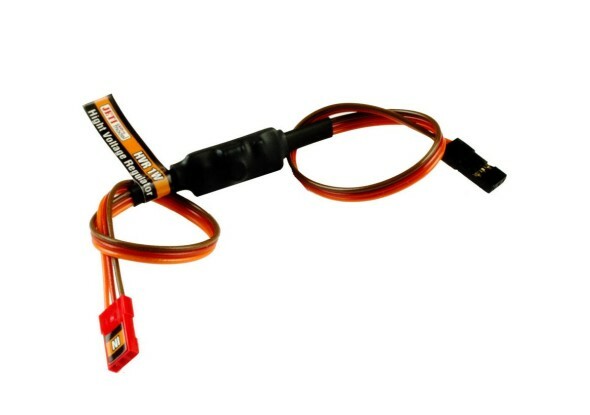 Works with any on-board electric device (lights, pumps, retracts) in need of stable regulated power supply. A dedicated High Voltage Regulator allows pilot’s to use a single on-board battery for all your electronic devices in the aircraft. Click over to Esprit Model for more information or to purchase!